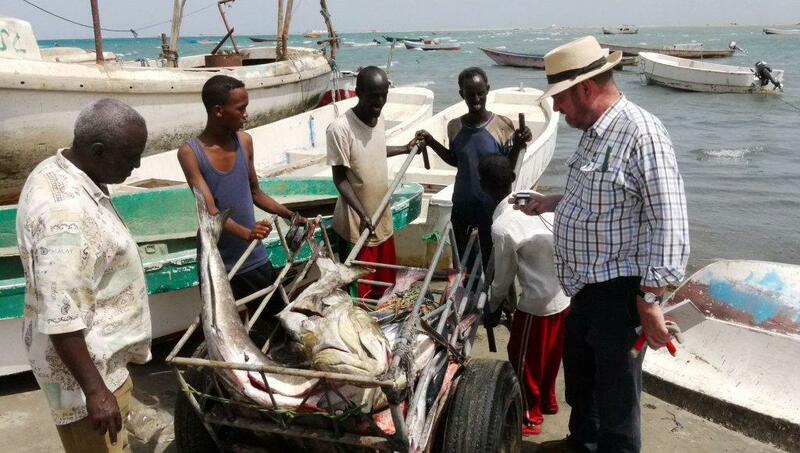 FoodWorks' Senior Fisheries Specialist Robert Lindley has been in Somaliland - and says he's impressed by what he found - at least in terms of the overall economy and civil society. 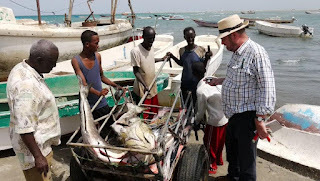 Working with the CADG Group to look at investment possibilities for the fishery Bob visited fish shops in the capital, Hargeisa, and the fishing industry at Berbera. Somaliland is NOT Somalia; what used to be the British Somaliland, a protectorate not a colony, is democratic and fiercely independent (since 1991). It's peaceful, relatively secure and has a significant diaspora of British-Somalis many of whom are returning to their roots bringing investment and western expectations of the way things should be run. Food safety standards are still not what they should be, but at least there are people returning who know why it's important to have them. 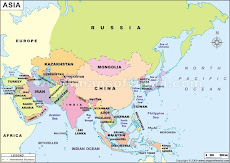 The economy is driven by livestock - live cattle, goats/sheep and camel exports to Saudi Arabia and the UAE via the deep water international port at Berbera. But the long coast line should offer rich pickings for artisanal fisher folk. In this case what Bob Lindley found was surprising. There is a fishing industry and various aid agencies (e.g., DANIDA) have built cold stores, ice-makers and worked with the fishing community. 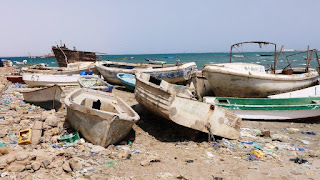 But the reality at Berbera (which is the only place where fishing is done on the entire coast) is that the industry has pretty much collapsed. 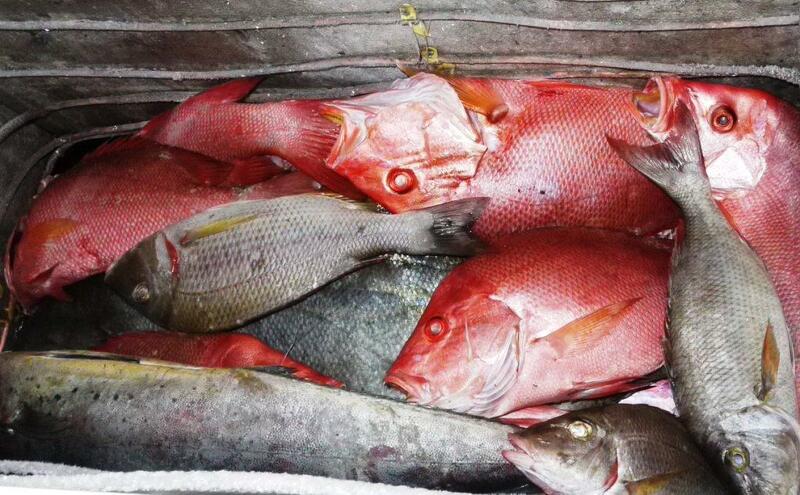 The fish that are taken are all mature - check out the red snappers in the photo - an indicator that marine stocks are hardly fished. There are less than 50 operational boats, the infrastructure is broken and the international projects have been abandoned. What's the reason? Fisher folk say they would rather work in the more climatically comfortable capital city of Hargeisa in the uplands. Fishing is a hard, dangerous job and temperatures get up to around 42 deg C. Equally the rewards are limited compared with other livelihood options. With the economic boom in the capital, jobs are easier to come by and the living conditions are better. The removal in 2009 of a ban by Saudi Arabia led to a surge in live animal exports that created jobs for truck drivers and handlers so there are just too many other better paying opportunities. What remains at Berbera's fishing port is a quaint village, largely abandoned by its labour force. There are still some shops and some people fish, mainly for the local market and to send the occasional truck up-country. Things probably get more lively in season, but overall the impression is one of terminal decline. So what are the opportunities? We won't disclose our commercial advice to our client, but we know that it will take a rather large investment of public funds to rehabilitate the fishery. The World Bank apparently has a project in the pipeline that we'll watch with interest. It will have to deal with a complex of problems starting from the competition for labour from more attractive jobs, the collapsed infrastructure, a lack of boats or serious boat-building capability and the fact that the market demand for fish is limited. It's this last piece that is most puzzling, because looking at the quality/size of what can be caught it seems that there should be a great high-value market, especially in the rich Gulf States. The reality is somewhat different. In fact the UAE gets supplied with the same kind of fish from the Gulf of Aden more cheaply from Oman and nearer to home. With lack of volume, no quality control, high shipping costs and lack of air transport, Somaliland can't compete. Hopefully this situation will change as Somaliland continues to develop, but meantime the fishery remains one of the few in the world that is under-exploited. Not necessarily a bad thing. Please do contact Robert Lindley directly on rhlindley@foodworks.ag for more information on this article or any other fishery related business.